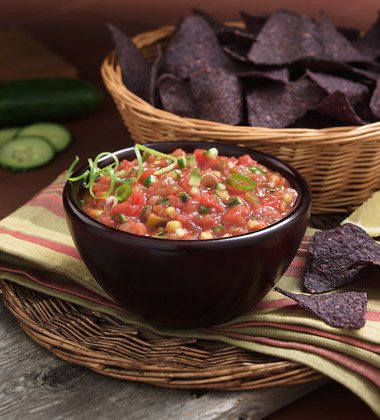 Made with Pace® Medium Chunky Salsa, cucumbers, green onions, and cilantro, this salsa is vegan, gluten free, and low-fat! cucumber, medium, peeled, seeded, finely chopped	 7 oz. 1 ea. 1. In bowl, combine all ingredients. 2. 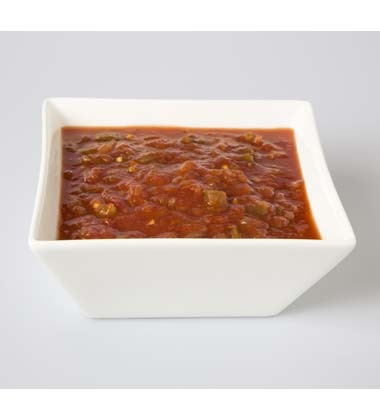 Using a #16 scoop, portion 1/4 cup into bowl or condiment cup. serve immediately. cucumber	 7 oz. 1 ea.